Most of today’s portable rigid display devices offer capacitive touchscreen functionality. 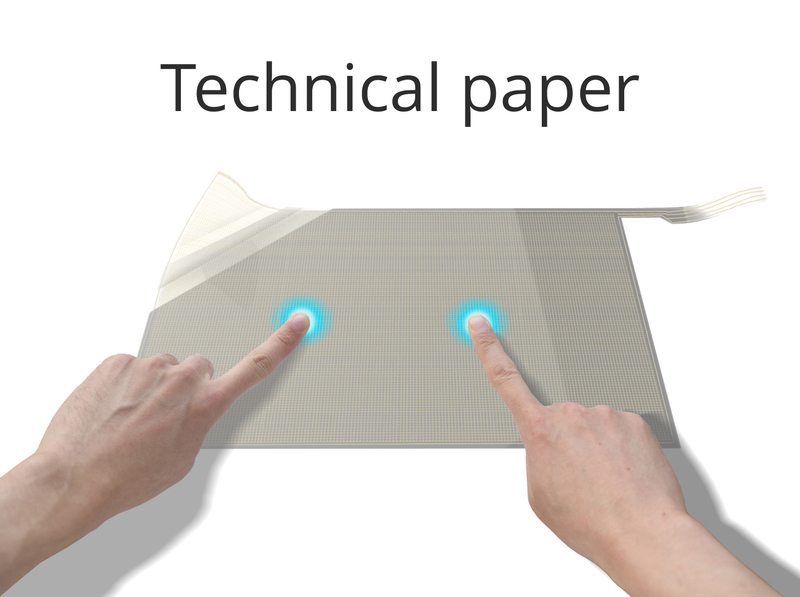 Consumers have come to expect this technology in all smart devices and tablet computers but experience many frustrations including breakage, accidental use and an inability to operate when wearing insulating materials such as gloves. The DRAS® technology delivers superior spatial resolution. It can also sense finger force and requires no re-calibration. It’s not affected by humidity or temperature swings and only picks up intentional contacts. What’s more the sensor can be made as large as the application requires, enabling large scale flexible TV’s and extensive wall size displays to be developed without increasing the complexity of the hardware interface and without compromising the sensor performance. Next generation smart devices can also be customized in terms of shape, size, resolution, accuracy, flexibility and cost without compromising the ease of interface. • The sensor is put behind the flexible display: there is no impact on the display's optical performance! 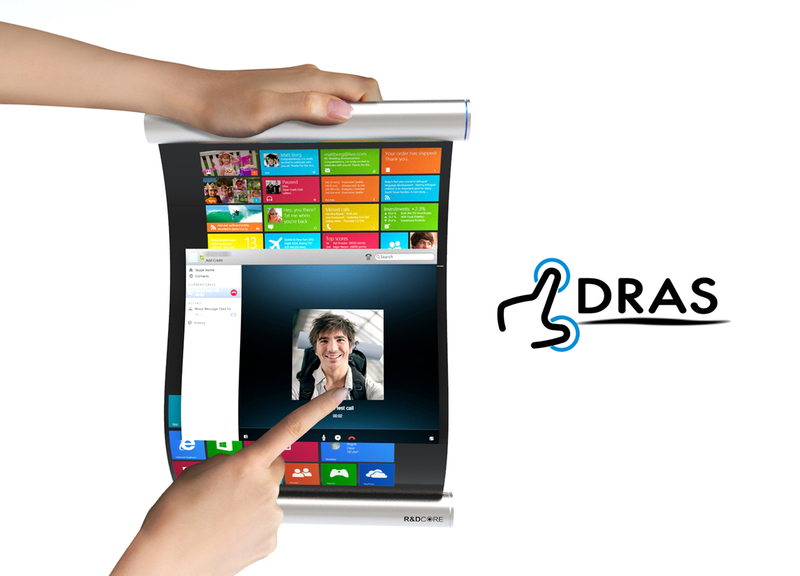 The DRAS® technology addresses all of the new demands and emerges as the winning solution for the new breed of portable devices with flexible displays! Visit our dedicated website to find out more!